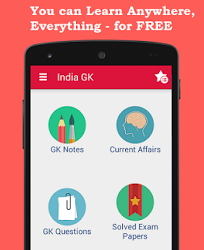 7, 8 February 2017 Current Affairs MCQs, Quiz, Questions: Current Affairs for February 2017, Daily Multiple Choice Questions (MCQs) for India GK, World GK and current affairs with Collection of daily objective type Question by www.Indiagk.net based on General Knowledge (GK) and General Science (GS) Questions for UPSC, State PSC, SSC, Police exam, Railway exam, SBI, Bank PO, IBPC, SSC, LDC, UDC, Army, Airforce, Navy, Coast Guard, Bank Clerk, TET and all entrance examination with current affairs News, Multiple Choice Questions (MCQs) available on Website www.IndiaGK.net and Android Apps with daily updates:. Who becomes first to score 300 in a T20 match? Which committee has been constituted by the Union government to improve Haj policy in subsidy issue? For the first time in Judicial history, Supreme Court issues contempt notice which sitting Calcutta High Court Judge? Cabinet approves Pradhan Mantri Gramin Digital Saksharta Abhiyan with target to cover how many rural households? What is the current repo rate as per 6th bi-monthly monetary policy announced on 8th February 2017?